New for 2018: The INRAD W1 competition headset. 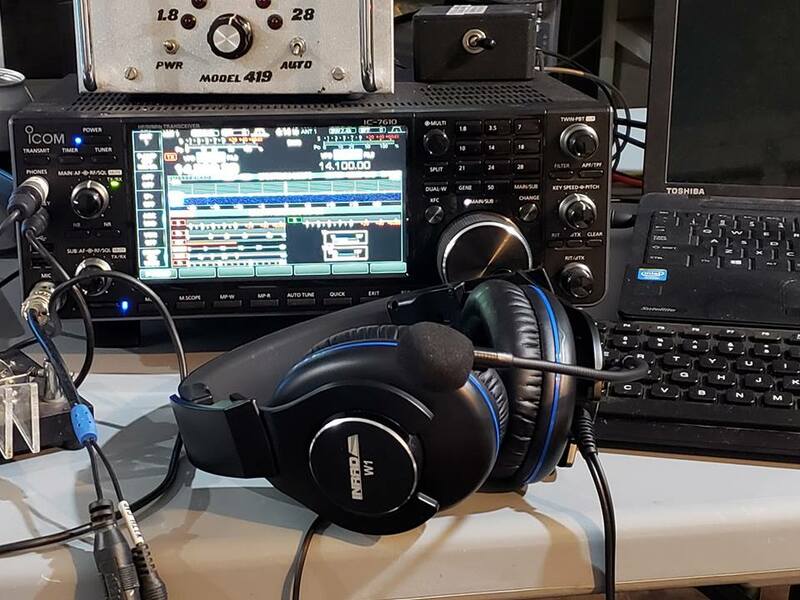 Following the successful introduction of the INRAD Desk Microphone System in 2017 and its excellent reviews from both the ham community at large and the ARRL ‘s QST Product Review, we introduce this new unique headset for DXing, contesting, or general use on the air. Unique headband tilt-back feature as used on pro broadcast headsets . padding pushing your ear backward against the head, leading to pain after hours of use. Headband fatigue is another potential problem with long-term headset use. 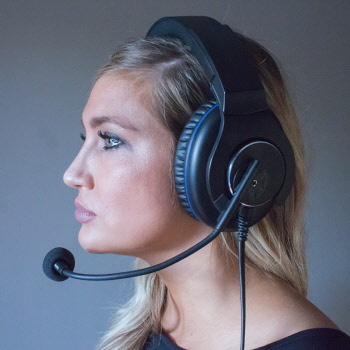 Modified aircraft headsets sold by others for ham radio use push down on the top of the head because they are heavy and lack adequate padding at the top. We have solved this problem with two features. First, thick rubberized foam padding at the top of the headband that molds to the head when in use. Second, like broadcast headsets, the W1 has a tilt-and-click headband tilt feature. The headband can be tipped back as far as 30 degrees off vertical without moving the earpieces, in addition to standard up/down movement of the band. and has excellent response from 50 Hz-15 kHz. Sounds great for DXing, contesting, and general on-the-air use. The right price and the right customer service. Headsets are not treated gently. They are a tool, and tools are made to be used. Rough handling means headsets have to be well-built to stand up to it, and that the manufacturer will stand behind them also. We offer a 1 year unconditional warranty for parts and labor. 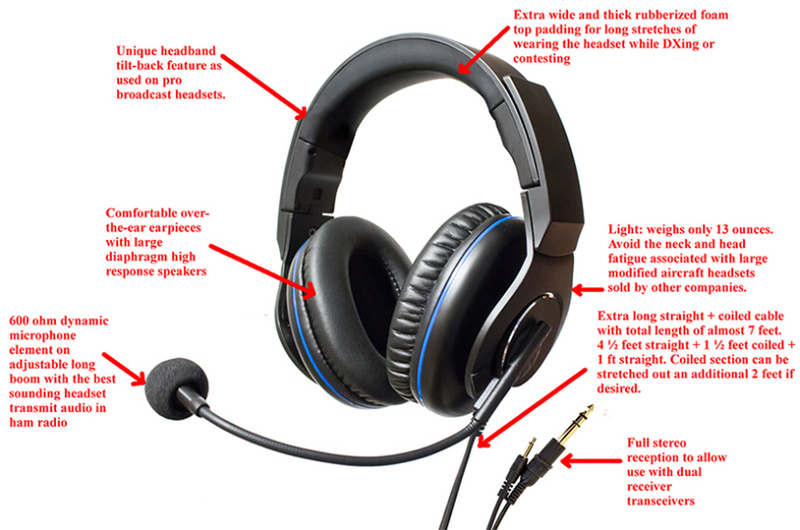 We will repair or replace your headset at our option. You only pay the shipping cost to send it to us.
. M-series headset mic jack adapters, sold separately, are $14.95. W1 is in stock and now shipping! The W1-B mic boom mic kit only and W1-E element only to be available later in October.